FAQ Friday: Can I Alter Which Levels A Student Has Access To? Q: Can I Alter Which Levels A Student Has Access To? Step 2: Click on “Edit” next to the student you would like to progress. 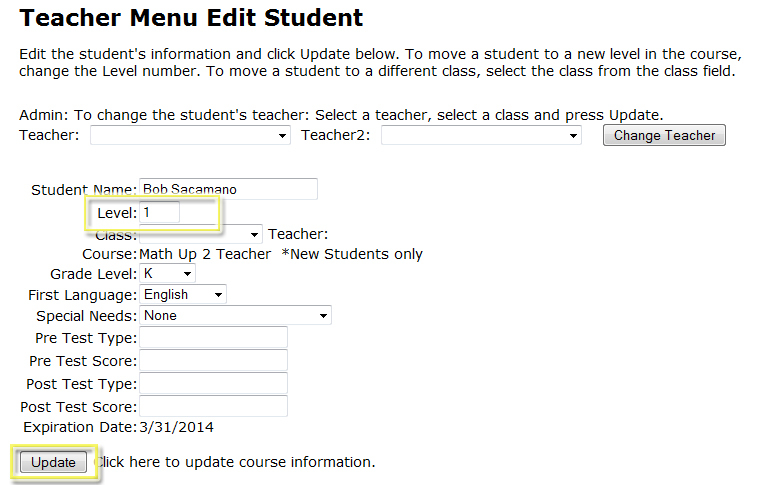 Change the number in the “Level” field to match the students needs. ← New Features: Two New Options For The Student Monitor!